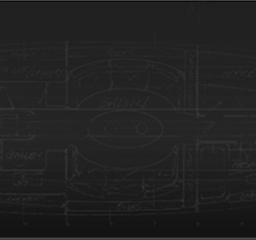 Rio has a long and productive history of boat building with 35.000 boats being produced over more than 40 years. From the start of the 60s mahogany built RIO yachts have plied the Mediterranean to put into port at all the European markets. Motor yachts built with expert knowledge and mastery in an era which culminated with the contract with Rolls Royce to build a model with a V8 engine, the maximum expression of these two prestigious brands. In the 70s with technological innovations, RIO was the first to pioneer the production of boats built of thermal moulded Ravikral, with over 2000 a year being produced. With the arrival of fibreglass, RIO began to build double hulled boats with polyurethane injected into the mouldings. In this way boats of up to 8 metres in length could be built which were virtually unsinkable. In the 90s RIO was able to come up to the highest standards of the most exacting sportsmen and fishermen by producing a range of over 20 models reaching lengths of up to 17 metres. European expertise is part of RIO's heritage. RIO has always produced its boats in Italy and n Spain and is supported by a sales network across 15 countries. The quality of RIO craft is due to the projects carried out exclusively for the company by the Scarani engineers and technical staff. Innovation and reliability are two of the criteria which RIO technical team adhere to when designing the new models. The project and the building of the boats includes the use of sandwich structures which optimise the weight of the craft making them extremely robust. The training given to our staff and the continual selection of our suppliers guarantees high standards in the building of the boats produced on the assembly line. The robustness and quality of the boat's build, the care in the details and the high performance of the engines specially adapted to each model make up the typical characteristics of a boat leaving the RIO boat building yards. Rio takes every customer through its own network: RIO CENTER and authorised dealers are ready to assist the customer in each phase of her purchase including AFTER SALES SERVICE. The whole range of RIO boats can be divided into 3 distinct lines: the Sol line which optimises the use of open spaces; the Cruiser and Day Cruiser lines are designed for holidays on board where the comfort of the interior and the way it perfectly compliments the exterior are characteristic elements; the Fish line is for fishing enthusiasts or people who want to make use of a practical boat all year in comfort. The Italian design, the harmony of its lines and the most intelligent use of space: these are the things that make RIO a unique product. A boat which is much more than just a boat! Now you can start to look forward to your next holiday at the helm of one of RIO's magnificent boats.